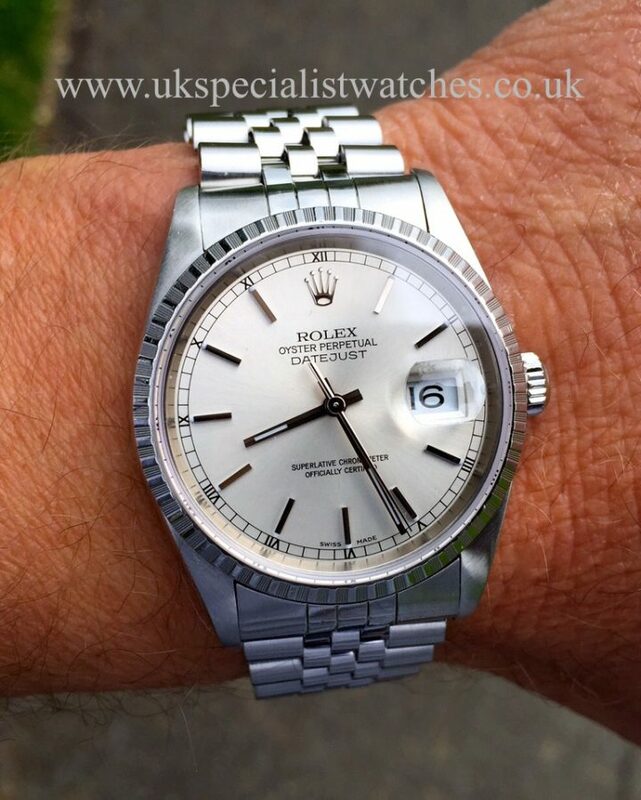 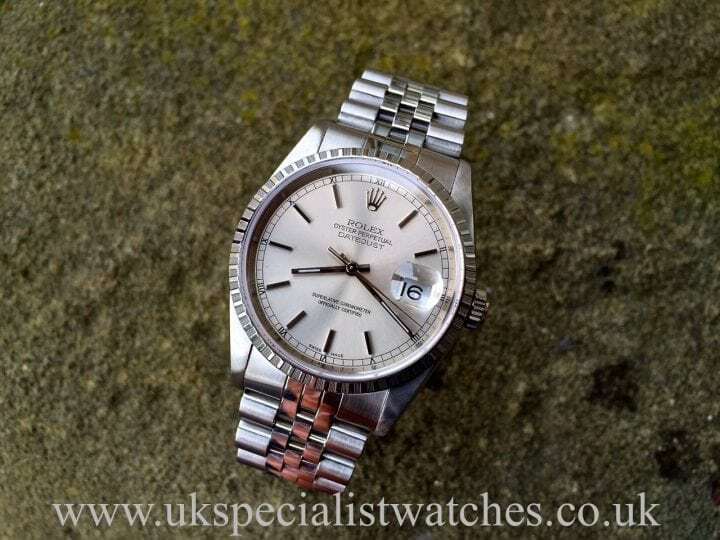 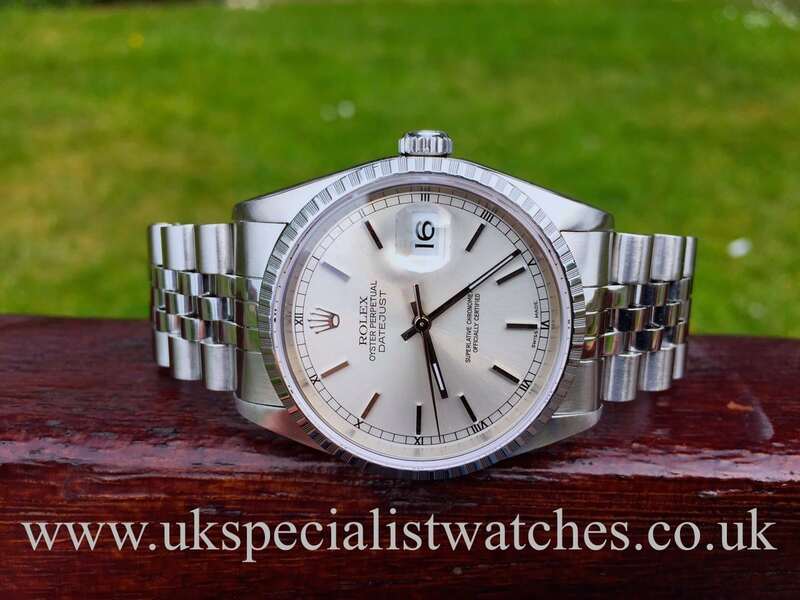 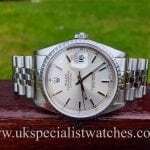 Rolex Date-Just 16220 Gents with a Classic Silver dial with applied baton hour markers and the rarer engine turned bezel, complimented with a Jubilee bracelet. 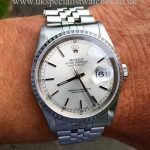 The Date-Just 36mm is now worn by both Men and Women. 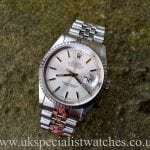 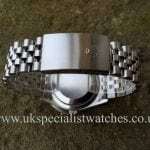 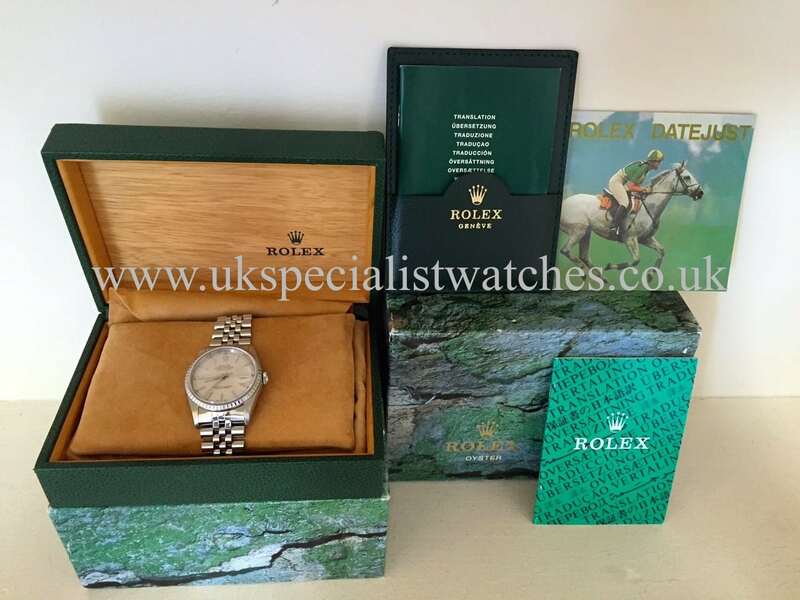 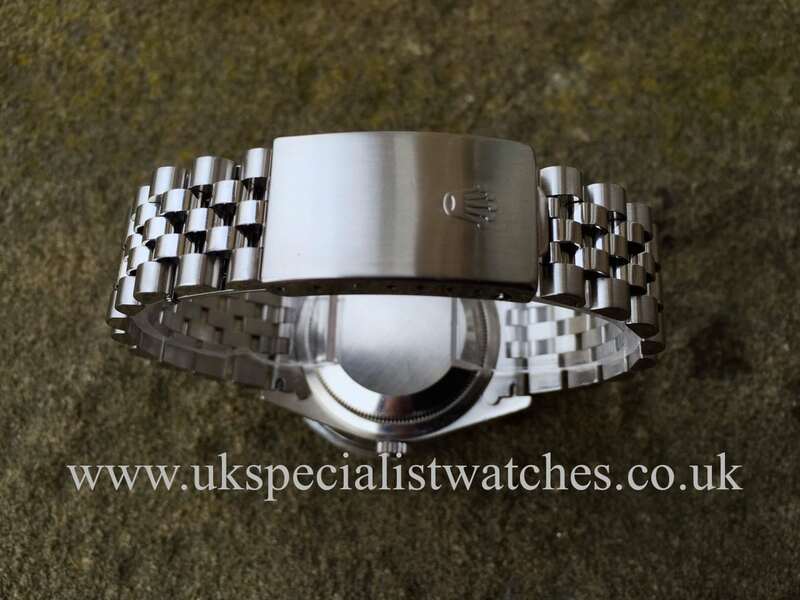 Our watch is in superb condition, supplied new 1999 – A serial number.